One of the most frustrating things for Mac fans in the Intel transition is that Apple’s been confounding their expectations all the way. When the Intel Macs shipped with their EFI architecture, making Windows booting a challenge worth a $14,000 prize, it was confirmed once and for all that Apple wasn’t trying to deliver dual-boot machines. Another popular Intel switch theory is that it would allow Apple to lower their prices. After all, if Windows PCs are cheaper and use Intel CPUs, Intel inside Apple would surely mean cheaper Macs. Realistically, a switch in CPUs was unlikely to mean drastically lower prices, because comparing Macs to comparably equipped PCs always showed Macs to be a good bargain. In truth, Apple has been very price competitive, at least since the G3 era. 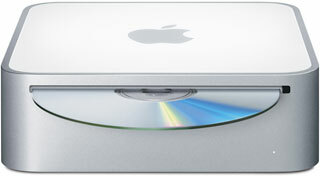 They just never sold an ultra-cheap box until the Mac mini. Still, many had their hopes up for the arrival of the Intel Mac mini, seeing it as a cheap way to get their hands on the latest generation of Macs. Confounding expectations yet again, Apple raised the price on the low-end mini by $100 – and by $200 on the high-end model, which now includes a SuperDrive. While running the usual price comparisons shows that the $799 mini is still a nice deal, it’s a little disappointing to see Apple’s “low-end” machine at such a high price point. While Apple has clearly embraced being seen as the BMW of computers – worth a perceived premium – this is an image they need to shed in order to gain market share. Apple should remember the clamor for a “headless iMac” almost from the day they canceled the Performas and introduced the first Bondi iMac. They should also remember that when the first sub-$1,000 G4 Mac debuted, the eMac, that many still complained it was overpriced. The Mac community – through voicing its opinion and through strong sales of the G4-based Mac mini – made it clear that what we want in the product matrix is a $500 to $600 Mac. If that means making the AirPort card and Bluetooth optional, that’s fine with me. I believe that wireless hardware should be standard on notebooks, but many of us can live without it in a desktop computer. While a couple of hundred of dollars may not seem like much, it really does make a difference in the mind of the consumer. Many might consider switching to a $500 Mac, but you lose quite a few more potential customers when the entry level is now $600 to $800. On the Windows side, Dell is plastering the airwaves with brand new PCs with LCD displays for $399 to $499. Now I know that Dell PC can’t hold a candle to the specs and bundled software of the mini, but Apple doesn’t need to convince me. It’s the computing masses they need to go after. Which brings us back to the unanswered question: Was the Intel switch meant to go after the masses or not? * Two weeks after this article was published, Apple announced Boot Camp, its utility for allowing Macs to choose between booting Mac OS X and Windows. The first version was a beta compatible only with OS X 10.4 Tiger and Windows XP. It has been included with OS X since 10.5 Leopard arrived.